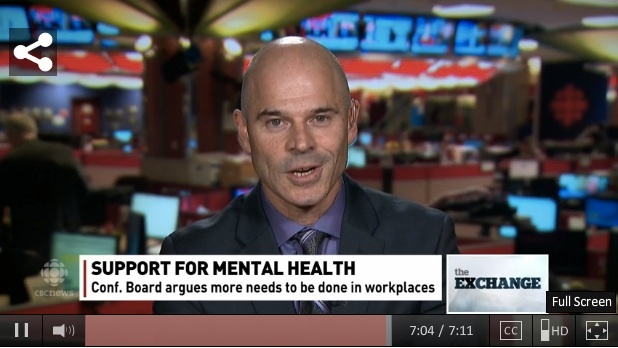 Comprehensive research completed by the Conference Board of Canada further highlights the importance of focusing on mental health in the workplace - for the well-being of employees, but also for the financial benefit of companies. Check out the interview with the vice-president of Public Policy from the Conference Board of Canada to learn more. It's great to see that there is more and more recognition on the importance of focusing on mental health at work. What small steps can your company take to make a difference?